Do you have in-growing roots, hardened concrete or a cracked pipeline? Camera inspection will reveal the cause of your sewer problems. We detect the problem, mark its location on the surface and recommend a method of repair. 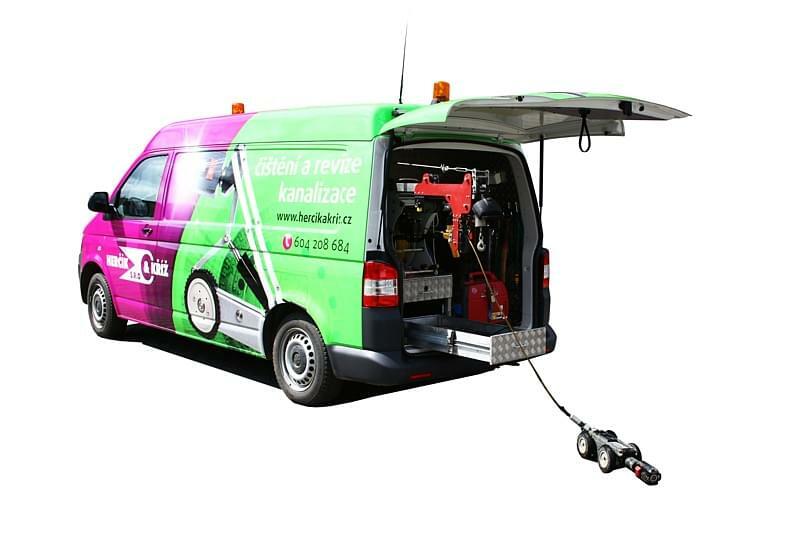 We carry out sewer inspections in Prague and the Central Bohemian Region. tel. +420 722 153 921 from 6.30am to 3pm or use our Online form. Is your wastewater pipeline blocked regularly? Do you need a sewer inspection before renovations or handing over a building? We provide camera inspections for government institutions, housing associations, companies and individuals. Revision, inspection, monitoring - whatever term you want to call it our highly experienced technicians equipped with 4 camera systems will do the rest. Our equipment inspects pipelines of all diameters as well as household connections. We inspect your sewer and issue you a written report and video record on CD. You can see the distance covered and description of the defects on screen including crack size, neck overlap, oval shape character and pipeline slope. We detect defects and suggest a method of repair. 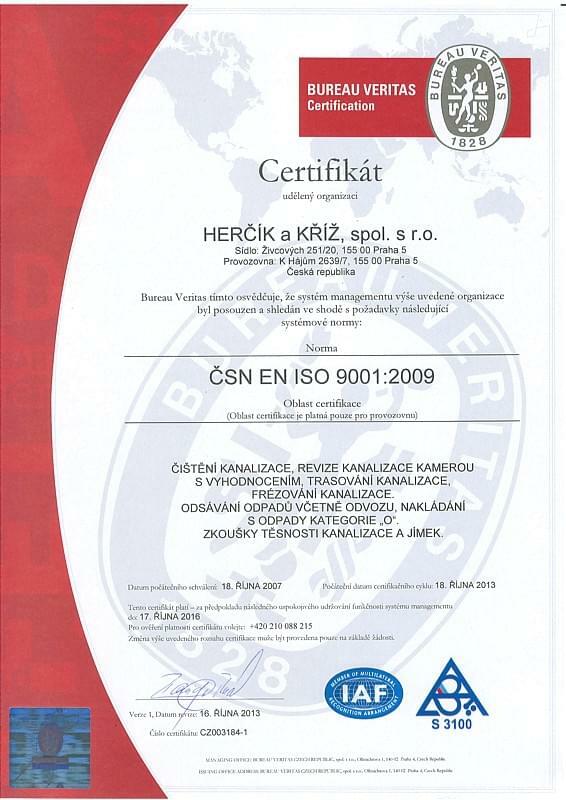 The Herčík and Kříž quality certificates and 12,700 satisfied customers are proof of our great work. We solve all problems with wastewater pipelines. Look no further. We clean all sewer pipelines. We detect the condition and cause of the blockage. We suggest a method of repair and estimate a price. We fix pipelines by milling, using trenchless technology or by excavation. If necessary we can also clean your household drains. Tip: Regular and timely sewer monitoring and intervention can save you money on more expensive repairs or damage in the event of a pipeline emergency. So before you start renovating, our camera inspections will ensure sure you don’t need to repair that new floor again after only six months because your pipes have to be changed. We use 3 camera systems for inspecting pipelines of every diameter and 1 for inspecting household connections. Our vehicles access the areas standard equipment can’t get to. And because our equipment is portable we can access even the most hard-to-reach locations. 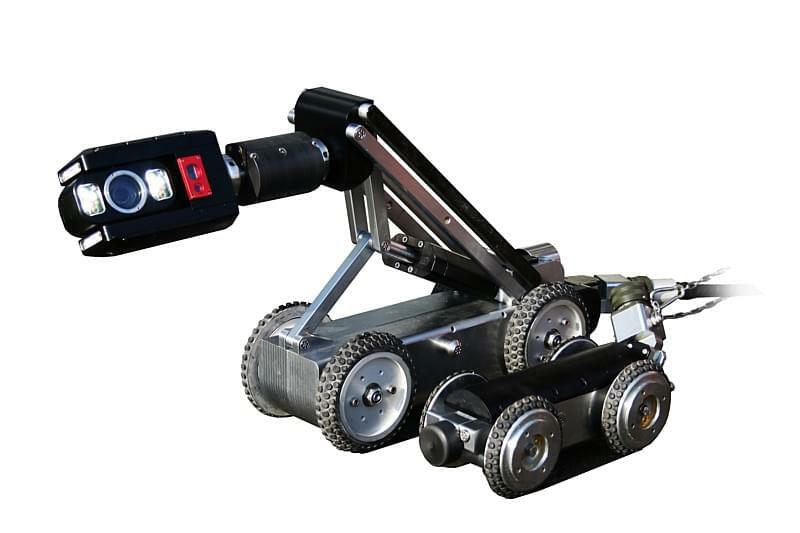 Our modern equipment measures the crack size, neck overlap, oval shape character and pipeline slope. The distance covered and a description of the damage can be viewed on screen during the inspection process. We use camera systems also for locating sewers. We determine the place of the defect in the pipeline but also locate the sewer, including branching, cleaning components, curves and covered revision shafts. Our location device measures the pipeline up to a depth of 10 metres under the surface. As standard we mark locations on the surface with places for lids. Why and when should I locate and inspect my sewer? "The village of Psáry has used Herčík and Kříž’s services, from cleaning gutter rainwater and waste water sewage to camera inspections of watermains. We’ve always been happy with their work." Describe the problem affecting your pipeline so our team can give you an estimated price and arrange a date for camera inspection. Or call us directly on +420 722 153 921 from 6.45am to 3pm. 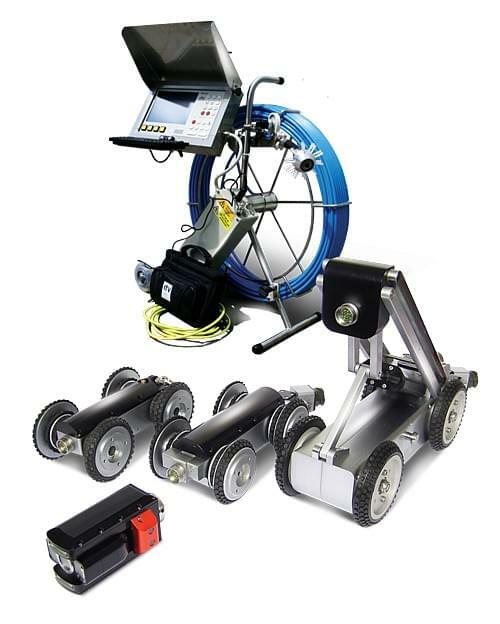 The latest technology for screening sewer system and pipe tests. Recorded screening of footage, conditions and defects. Inspection report and video delivered on CD. Trained technicians with several years of experience.